The adjustment screw on the stepper module allows you to set max allowable current. Also, in software, you could try setting a lower max acceleration parameter (as discussed earlier in this thread) and lower max velocity parameters, in case either or both are a factor. You're brave to be attempting this with unknown equipment. If there are multiple factors... it's trickier to troubleshoot with no working baseline to start with. I've changed my modus operandi so that now I use the largest pad and trace sizes that I can get away with. That way, if they get whittled down during the milling, I still hopefully have enough left. That way, I can also cut deeper and wider, which helps with soldering. So good news. I was able to get the motor turning with some torque. Initially the board was set at full step resolution (no jumpers on M0, M1 or M2). I thought I'd try it at it's lowest microstep resolution which is 1/32, and the motor ran good. I checked the max current and it was set quite high at 2.035 x 2 = 4.07 A. Running some Y axis moves got the motor a bit warm, but I don't think I ran it long enough to do much damage. I now have the current down to 0.254 x 2 = 0.508 A and it seems to be running quiet and good. With it being at 1/32 microstepping it took a lot of revolutions to move the platter mount any distance, so I bumped it to 1/16 microstepping. This is mainly due to the 4.8:1 gear ratio that I have. I think this should give me some pretty good precision on the Y axis at least. Haven't built the X or Z yet, but that is next. You're brave to be attempting this with unknown equipment. I'm not too worried. Worst case I may have to get some other steppers. Being that this motor is salvaged, it's not like it costed me anything. I used a 2mm endmill to do the work pretty fast. It actually came out pretty good, but the remaining un-removed copper is not what I wanted. I guess it's inevitable unless I use a supper narrow end-mill, or probably a carving bit. But that will take a lot longer. i.e. some kind of hybrid approach would be best, I should think. Is there some way to do the detailed cleanup with a small bit, and then switch to the large diameter bit for the fast cleanup where precision isn't needed? @neverdie Looks like you could raise your end mill a bit (no pun intended). Shouldn't it be the same depth as your other bit? In theory, I suppose maybe so. However, the trouble is I can't preserve and then re-apply the same auto-leveling results. And, after the initial isolation milling, I can't do another to support setting the copper removal depth, because the touchpoints might hit the already removed material, which would seriously skew the results. So, I just set it deep enough to cover the possibilities, and that's why it's deeper. If anyone has a better solution to that, I'm all ears. @neverdie My apologies for near hijacking your thread. I am going to create a new one so I don't mess yours up. @dbemowsk No worries. Not really my thread. It's @andrew 's. I'm just a disciple. Next time I'll remove it first. Appearances aside, though, it should still work. I made the breakout board a bit smaller, and then, since the proof of the pudding is in the taste, I connected it to a pro mini and ran it. Voilà! It works like a charm. @andrew What is the widest diameter end-mill bit that this CNC machine can accept and handle? I'm thinking in terms of the mill leveling discussed earlier, and going wide to speed up the process. 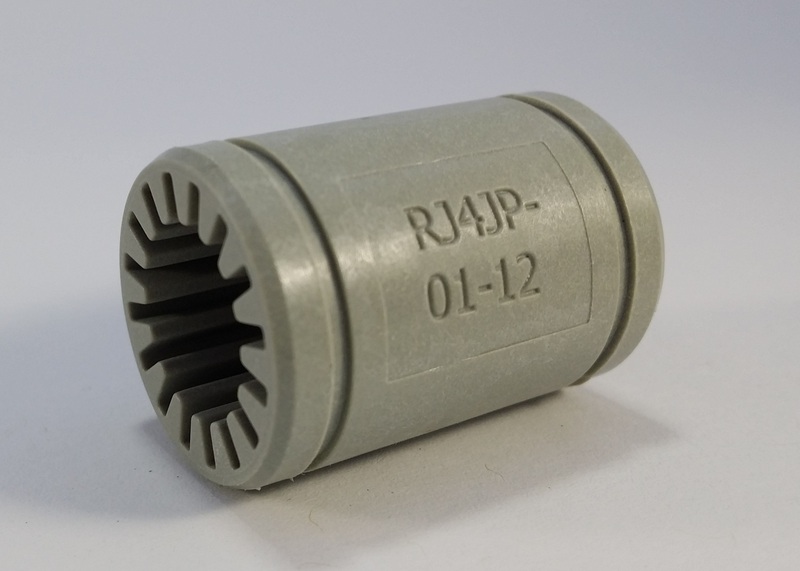 @zboblamont I have an ER11 though, so doesn't that preclude using a bigger collet? @neverdie Google it... The ER11 8mm collet indeed exists, although the ads on Ali seem to sell it partnered with a shaft extension. Old size bit shafts were 1/4" and 1/2" and probably are predominant in the US, metric were 6mm and 8mm etc... Have only used 8mm personally, but with 1500-2000w routers they make short work of mdf. It's harder to judge what end-mill diameter the motor can handle though. The motor looks very light duty. Unless someone here has theory or experience to contraindicate, I guess the only way to answer the question is to buy some end mills and collets and try it out. try the Shurtape GG-200 that was recommended in the Hackaday article. I finally received it, and I tried it yesterday. Definitely has more grip than the regular double sided Scotch tape. I'm not sure how to analyze it a priori. If I have to run it at a much lower feedrate to compensate for a light duty motor, then the supposed speed benefits of a larger end-mill might not materialize. I ordered the collets and end-mills that I referenced above, so after they arrive I'll post an update as to how it went. Meanwhile, now that my CNC is in the garage, it's hard to know when it has finished running. I'm thinking of making a node to monitor it and then sent me a wireless alert when it finishes. So, how best to know when it has finished? I'm presently toying with the idea of monitoring its current consumption, on the theory that if no significant current is flowing, then it is done. However, maybe someone here knows of a better way? Watching it do an auto-level on 300 points is pretty boring.... I have better things to do than watch paint dry. @neverdie why not put a webcam/ipcam at it, like many people do with a 3d printer? Will show you when it's finished and when something goes wrong. @zboblamont I think maybe you're misunderstanding. I would watch it do the bed-level (well, at the beginning anyway), to monitor drain on the motor. However, with all the auto-leveling and etching and milling and drilling I just let it run and come back when it's finished. That's really where I want to go with this in the end anyway. As far as protecting the motor, there should be (but maybe isn't?) something to shut it down if the current jumps above a certain limit. I should think that would be all the protection that's needed. So, maybe that's yet another reason to task an arduino with monitoring the current flow. One reason would be to alert me when the present job is done. The other reason would be to shut it all down if the current got too high (indicating a failure situation of some kind). In fact, the beauty of having it in the garage is that it can run in the background without being noticed. If I were to run it in the house, the noise is rather overwhelming, and it would be hard to ignore it. I just don't see the allure in that. It requires my polling it, rather than being interrupt driven. To me it's like putting a webcam on your dryer to observe when it's done. I mean, yes, it is faster than walking over to it, but it just seems far from optimal. So, anyhow, maybe another way to check for job completion would be to monitor the DATA+ line from the USB cable feeding the WoodPecker controller. I'm guessing that if it shows no activity, then the job is done. Yesterday I was doing copper removal with a 2mm end-mill, and several times when plunging it brought the motor to a complete stop. The motor recovered and continued in the x-y dimension at the new z. So, obviously, the z-feedrate was too high. Is there a feedrate specific to the z-axis, or is it just the same as the general feedrate used by the x-y? I know there are velocity and acceleration parameters that can be different for x,y, and z. Do I control it using that instead of the seemingly general purpose "feedrate"? Also, not sure why I experienced the problem this time and not previous times, as I was running the same g-code as before. Perhaps the end-mill acquired too much plastic gunk clinging to it? What's the best way to clean that stuff off? Is there a feedrate specific to the z-axis, or is it just the same as the general feedrate used by the x-y? I ran some tests and proved that the general feedrate does apply to the z-axis. However, at the moment, the rest of the answer remains unknown to me. I tested this, and it won't work. It seems that USB is constantly sending data frames (or something) regardless of whether actual serial data is being transmitted. So, to take the idea any further, I'd have to tap into and monitor the Serial Rx pin on the Woodpecker atmega328p chip itself. Maybe you could use a “coolant off” and “coolant on” (M07, M08 and M09 if I remember correctly) to achieve your goal? I tried measuring the current with an INA219, and wow, the current measures much higher than what my bench power supply had been telling me. Doing just auto-leveling consumes about 0.5a at 24v. Turning on the spindle and just carving air consumes over 1a at 24v. So, I'm guessing that actually routing PCB material (not just air) might well exceed the 2a limit of the INA219, at least in worst case scenarios where the bit may bind (or the feedrate too high) enough to slow the motor down. So, I'll simply slam a couple more shunt resistors in parallel with it, and then it should be good for measuring up to 6 amps. All this assumes that the Woodpecker contains a proper snubber diode, so that I don't get voltage spikes when turning the spindle off. Indeed, it looks as though the woodpecker does have an SS54 schottky diode installed just below the spindle power plug, and I'm guessing it is intended to serve that purpose. Virtually every screw on this CNC has come lose, so I'll be applying Loctite on all of them to hopefully avoid a repeat in the future. I mounted our clothes dryer on these particular feet, and they work fantastic, at least for that purpose. Maybe not the right choice for this CNC though. In the case of 3D printers, I notice that the Prusa I3 Mk3 sits on rubber feet, presumably for a similar reason. 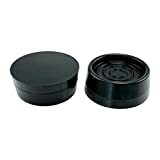 Anyone found good vibration damping feet for their CNC? @neverdie Crazy though it may sound, have you considered cheap engine/gearbox mounts (for vehicles) for the base frame onto some baseplate or U-mounts? Not sure how that would be setup exactly. That way the aluminum frame will be supported all the way around. @neverdie Out of curiosity, I thought most CNC machines used ball screws. That to me looks like a lead screw. @dbemowsk Yes, it's not a ball screw. @neverdie Good, then I don't feel so bad using plain 5/16 threaded rods in my build. I would assume that there is some sort of anti backlash where it connects to the carriage though, correct? There is not a lot of play in mine to begin with, but I am using two threaded rod coupler nuts with a spring in between on mine to take up any little bit of backlash it might have. I am using two threaded rod coupler nuts with a spring in between on mine to take up any little bit of backlash it might have. Yes, mine has a similar spring, and I assume for the same reason. The bottom unit monitors the current that the CNC consumes to determine whether or not the CNC is active. When the CNC transitions from active to inactive, it sends a wireless signal to the battery powered node (above it in the photo), which rings a buzzer to let me know that the CNC has finished. Since my 3D printer that's on order is also 24 volts, I think there's a good chance this hardware may work with it as well. The video is aimed at Mk3 i2 owners, but I imagine similar tricks might work for a small CNC such as that discussed on this thread. Based on a file test, it appears that the smooth rod is not hardened. Not sure how much improvement I might see if I upgraded to hardened. So, less sagging in the middle, and maybe less vibration also. @neverdie As part of my CNC build, I have gotten 8mm rods that I pulled out of old scanners and old ink jet printers, I guess I never checked to see if they were hardened or not. How much of a difference would it make? @dbemowsk Well, let's put it this way: the set screws on my rods had come lose, so I noticed considerable sagging when the spindle got to the middle of the rods. When I tightened up the set screws, a lot of that sagging went away. So, I think that means the spindle is now, in part, being supported by tension. Hardened rods should flex less. I'm sure there are formulas that could tell you by how much. Also, there are different degrees of hardness. deflection isn't affected by hardness. I had thought hardened would be stiffer. @neverdie So I have a few questions regarding your spindle assembly. First, do you know how many RPMs your motor is? Next, how many collets do you have and use for your setup. Third, is your collet and chuck assembly like this one? @neverdie So I have a few questions regarding your spindle assembly. First, do you know how many RPMs your motor is? Next, how many collets do you have and use for your setup. Third, is your collet and chuck assembly like this one? Your link says its an ER11A, whereas I think mine may be just an ER11. Thanks, I wasn't sure if you bought yours as a package deal where they had the specs on all the parts. 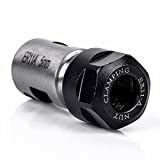 I did find this link (http://www.cnczone.com/forums/cnc-tooling/319670-er11-type-vs-b-type.html) which states that the A should designate the style of the clamping nut. Looking at the different styles they have, it just looks like they just use different tools to tighten the nut. A looks like a standard wrench type. This is the only information I have on the motor that I plan on using. I googled all the numbers and couldn't find anything. It is a German made motor, so I am assuming it is a pretty good motor. It feels like it has pretty good torque. It is one that I had in my junk parts bin. it has a 5mm D type shaft. In the pic I just have one of my 5mm to 8mm couplers on it. I think I may order that collet assembly as it sounds like it should work. It says that it uses ER11 collets anyway. 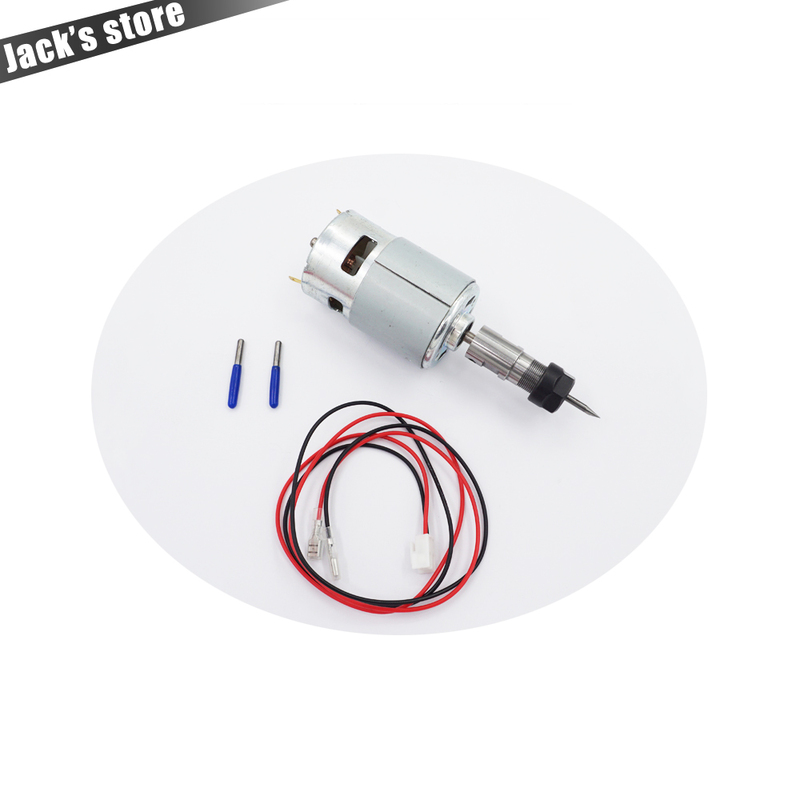 @dbemowsk Maybe you'll want to try using TMC2130 drivers for your stepper motors? @neverdie I do already have the DRV8825's that came with the controller. I guess I'll try them and see how they work and if they don't seem to do well, I'll consider changing. As it turns out, the smooth rods on my CNC are 10mm in diameter, not the more common 8mm found on 3D printers. Definitely not hardened: I can see grooves where the ball bearings have scratched into it. Sanladerer strongly recommends using precision tolerance hardened chromed rods for 3D printers, so I can only assume the same would apply to CNC. Since it's a relatively cheap upgrade, I may do it. What tolerance should I get? h6? Also, what spec for surface roughness? Definitely not hardened: I can see grooves where the ball bearings have scratched into it. pity is sometimes even more expensive kits cheat on this too.. I would say as long as you use h6/h7 with roughness around 60 or more, so, precision hardened, chromed nice too, you should be very fine. day&night vs cheap rods which, in first place are not made for this job+precision..
@neverdie So I have an odd CNC related couple of questions. Next, when you put a bit in the chuck, do you always bury it in to the base of the bit? 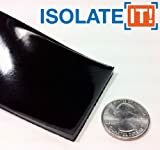 When you have your bit in for working on PCBs, what is the distance from the end of the chuck to the tip of the bit that you use? @dbemowsk Is this for calculating deflection? @dbemowsk I haven't been very consistent, but I'd say roughly 7/8 inch. @neverdie Actually, I am working on my Z axis and am trying to gauge how long I should have my rods. They are currently 8.25 in (209.55 mm). Wondering if there would be any benefit to leaving them that long or shortening them up some more. This is the spindle frame as I have it designed so far. The blue piece on the motor shaft is just one of the couplers that I bought for the steppers to connect the threaded rods. It is just for looks until I get the chuck. In that case, what matters is whether you can raise the spindle high enough on the z-axis to remove the used bit and insert the next one. I wish my z-axis had a bit more height on it. Sometimes I have to move the spindle away from the workpiece in order to get enough clearance for a tool change. I suppose it doesn't help that I'm using a 3/4" waste board. I suppose it doesn't help that I'm using a 3/4" waste board. Do you need 3/4"? Wouldn't 1/4" or 1/2" work? Do you drill in that far? @dbemowsk 1/2" is probably ideal for my particular setup. 3/4" is simply what I tried first. 1/4" might work, but with less margin for error. @dbemowsk Shouldn't you have some linear ball bearings gripping those z-axis rods? As you can see, it offers more potential functionality than the earlier version. It still has a buzzer, which is now mounted underneath the pro mini. 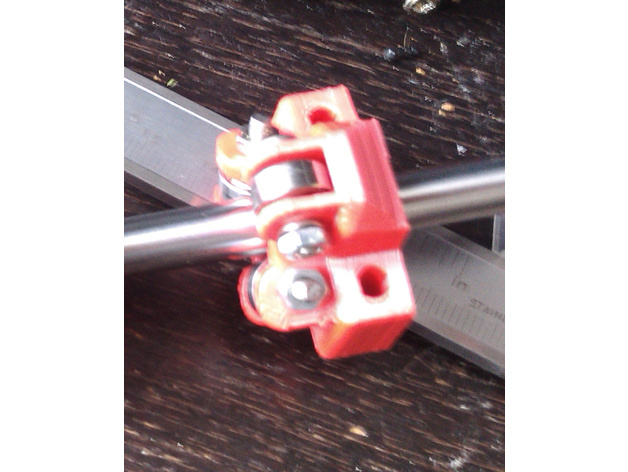 @neverdie FOr starters I am trying 3D printed rod bearings. I';ll see how that goes. The beauty of designing this myself is that I can alter the design whenever I want. @neverdie Di the relocation of the buzzer increase audibility as you were seeking? What are those? Is it like this? @dbemowsk what kind of material? @neverdie I just printed them in PLA and they seem to slide pretty smoothly on the rods, but someone told me that printing them in nylon is better. printing them in nylon is better. If you had a multi-filament printer, I wonder if you could print the nylon bearing within another plastic piece (e.g. the part that holds the spindle to the z-axis)? That would would be pretty cool and would also save assembly time. @neverdie the way i have it designed, the printed bearings get sandwiched by a rear plate that holds the bearings and coupler nut that goes on the threaded rod to drive the assembly up and down. I wasn't home before to get a pic, but here is the layout. Anyone tried Trinamic drivers, such as the TMC2130? They seem to produce superior 3D prints, and so I would guess they would yield some improvement for CNC as well. I have no experience with either board, so I don't know if either would be desirable. Note: from what I've read, the v1.1 TMC2130 modules are much better for adapting than the v1.0 modules. I'm unsure what kind of firmware runs on the Woodpecker board, so I have doubts whether it could exploit the Trinamic features. Anyone here know? So.... I'm looking at a Smoothieboard as perhaps one possibility, although I'm not sure yet as to whether Chillipepr will talkto it. Are you looking at this for a 3D printer or for your CNC? If you are looking at it for a 3D printer, have you looked at the RAMPS 1.4 boards? I like their modular design over a fully integrated board for the simple fact that if a part dies, you are only replacing the one part and not an entire board. This make repairs cheaper if something goes wrong. @NeverDie I have one more question of measurements on your CNC. If you look at the pic, can you tell me the measurements of the red and blue arrows on your machine? I have some idea of how tall I want my bracket for the red arrow area, but you were mentioning that you wish you had more travel in that area and I am curious if I have enough room. Perhaps slightly off topic but I wanted to share very interesting youtube channel of FRANK from Germany link text who's been working on a PCB pick and place module along with a CNC tool changer in the video above. Very inginious, and clever work if you've not come accross his videos and work yet.! PCB pick and place module along with a CNC tool changer in the video above. Only a thousands more expensive machine will be faster for assembling, and they are more precise, have a lot more features (cam driven features, more feeders etc.). Pick And Place is not plug and play at all there is lot of calibration, preparation. So it's useful and save time, only if you plan volume production. This is why there is often fees when you ask for a pcba, they spend time for calibrating each new board, parts in database etc. There are multiple different diy pnp, most of them are slow, not enough precise for <0402 etc.. If it's for 0603 size with some dfn, low volume, you don't need this kind of investments I think.. but if you want to tinker it's fun I imagine. For example, if I remember well, someone said he can assemble an easypcb in 30mn, trhough hole. Good but that's the time I need to get assembled&soldered one of my compact smd multisensors boards, no PNP, no handsoldering..
No need of a solder paster dispenser, I use stencils. I like freedom for placing parts, but you can also build a simple manual pick&place in case you shake when placing (no shaking here). With a good magnifier, easy! (I have a big one like dentists, + another one with a cam). Finally, the reflow oven cook it. When I need a repair/reflow -> flux + hot air or fine solder tip. Well organized, you're faster like that. Not the same, if you want to assemble 50 boards, agreed. So, I've no real xp on PNP, but I'm not new at assembling smd boards. Saying this because I already digged in forums, diy builds, reviews, as I need to invest in a cnc router, and PNP this year. and I'm lucky I can talk with local professionals.. I always "try" to get a good ratio between the need/time/ROI . I'll build the cnc router, but I'll buy the PNP. there are a few interesting but it's still a few thousands dollars. @rfm69 Thanks! I've already learned something potentially very useful: instead of doing his etching with an etching bit, he uses a V spiral endmill 30 degrees. Unfortunately, he didn't say the diameter. Interestingly, he didn't even bother with autoleveling. @rfm69 Yes, a tool changer would be very nice to have. Are you sure? What's happening from 3:25 then? You're right. I guess he edited most of it out, or else he did just a partial. @scalz Agreed... the P&P is beyond my knowledge level, but what I found fascinating in what and how he was doing the project to make something himself, how he evolved the project was very interesting. He's got something similar for a tool changer on a 3d printer which is very nicely designed... along with the software and controllers. @rfm69 Does he describe in detail somewhere how to make one? I mean, I get the concept, but he did a lot of work on both the hardware and the software to make it functional. @neverdie you mean the tool changer, yes he has a blog and git pages where he shares. Its neccessary to speed control with current limiting breaking the spindle, which he's done via cheap ebay motor controller and arduino. Same goes for the spindle locking mechanism powered by a servo. and the CNC software.. However, its Young's modulus appears to be about 10% less than steel, which I interpret to mean that it is a bit less rigid than steel (cf https://www.christinedemerchant.com/youngmodulus.html). For the printer in the video that I linked, I can see how reduced weight may be worth the tradeoff. However, since weight isn't really much of a factor in the 2418 CNC, I think it makes sense to stick with hardened steel rods. Am I missing something? Opinions? @andrew Hy my name is Ferenc please help me. i update the grbl cnc 2418 firmware but dont read settings. From where I can download it and how I can write it ? My machine does not function properly now unfortunately. Please help thank you. I'm noticing that the tips on 0.1mm etching bits last well enough if the PCB substrate if bakelite, but not very long at all if it's FR4. 0.2mm bit tips on FR4 seems to last much better. @neverdie I'm gathering parts to make the same 3d printer with the carbon rods. I understood the weight reduction on the moving parts with carbon rods was the reason to go for them. And with the light 3d printer head that model can print much faster because of the stability and lightness. Which perhaps dosn't apply for the 2418 cnc ? @neverdie Wall thickness as well as the material characteristics determine tube stiffness, comparison on the modulus alone is misleading. As well as carrying the load, the section must also support it's own weight, one aspect where carbon fibre will out-perform steel. What's the best way to check the RPM on my spindle? From looking at similar spindles on-line, I think it might be as low as 6000RPM at 24v. So.... if I upgraded to a spindle that could go, say, 12000RPM, could I simply increase my feedrate by 2x and be done twice as fast?